Minister for Education, Syed Mohammad Altaf Bukhari, today visited Gulmarg and chaired a meeting to review the functioning and performance of the Gulmarg Development Authority. The meeting also took stock of ongoing measures for ensuring safe and smooth functioning of Gulmarg Gondola.Minister for Horticulture Syed Basharat Bukhari, MLA Gulmarg, Mohammad Abbas Wani, Vice Chairman JKCCC, Secretary School Education, Farooq Ahmad Shah, District Development Commissioner Baramulla, Dr Nasir Naqash, Additional Deputy Commissioner Baramulla, Farooq Ahmad Baba, CEO GDA, among others were present in the meeting.The meeting took a comprehensive review of progress of various measures being taken for making Gulmarg a world-class tourist destination, improving its aesthetics by employing eco-friendly technology, and ensuring that development coincides with exquisite natural beauty of Gulmarg without disturbing its lush green meadows, soothing hills and other flora and fauna.Altaf Bukhari said the government fully realizes the importance of keeping Gulmarg pristine and Gondola safe and secure for everyone, adding. 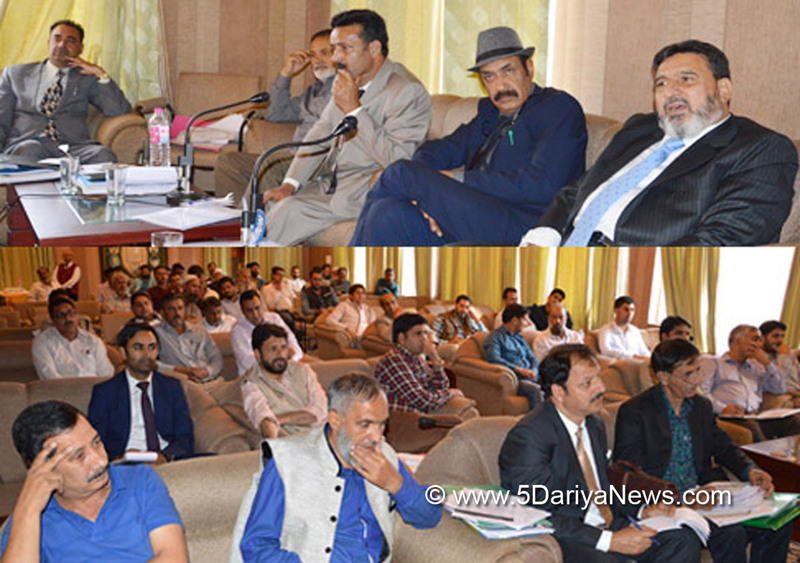 With regard to security concerns regarding Gondola, the meeting was informed latest technology has been put in place, removing all obstacles hindering its smooth functioning during harsh weather.During the meeting, CEO GDA also briefed the Minister about various measures taken for hosting winter games like alpine skiing, nordic skiing and snowboarding.Altaf Bukhari said the Gulmarg resort is a world-famous skiing destination and one of the prized tourist spots in the region and that winter games will give boost to promoting the State as a world winter games destination.Speaking on the occasion, Altaf Bukhari said the GDA in coordination with the Education Department is going to host a Golf tournament during the last week of October to popularize both golf as a game and Gulmarg as an ideal destination for playing this game amid snow-clad mountains, lush green meadows and hospitable people.He said the tournament will send a positive message that Gulmarg is not just a world-class tourist destination but also a place to enjoy ride of the world's second highest operating cable car Gondola and game of golf.Altaf Bukhari directed the JKCCC to coordinate with other departments for making Gondola safer and more attractive for tourists desiring to enjoy the Affarwat and snow throughout the year.Minister for Horticulture, Syed Basharat Bukhari, while speaking on the occasion, said the beatification of Gulmarg being undertaken by GDA shall facilitate affordable facilities for tourists, and generate income creating employment for local youth associated with the sector.